The Carmelite Sisters at the Santa Teresita Campus provide a home-like setting which respects and fosters personal dignity and happiness. 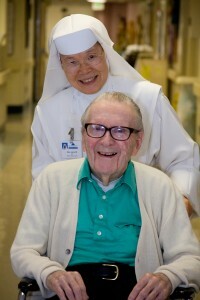 The services at Santa Teresita provide a continuum of care to our elders. 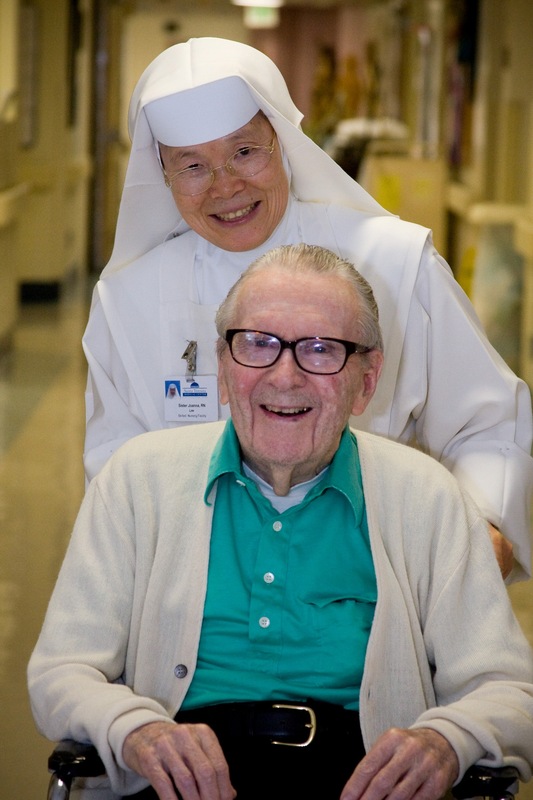 This includes professional nursing services supported by the richness of the Catholic faith and based on our commitment to uphold the dignity of each human person. The Santa Teresita Campus is filled with vibrancy and purpose. The professionals at our Manor Skilled Nursing specialize in nursing and rehabilitation services for adult and geriatric populations. Assisted Living differs from Skilled Nursing in that it does not offer complex medical services. What it does offer, however, is a medically knowledgeable and supportive environment that enables seniors to exercise their independence with a personalized support program for those areas where they may need additional assistance in order to enhance quality of life and prolong independence. Basic services can include assistance with medication management, housekeeping, meal preparation and activities of daily living. Santa Teresita is also home to Hayden Child Care Center. At Hayden, the Carmelite Sisters and staff seek to provide a loving, safe, non-competitive environment where children are introduced to new concepts and ideas in a monthly theme-based curriculum. For more information about Hayden Child Care Center, please click here.